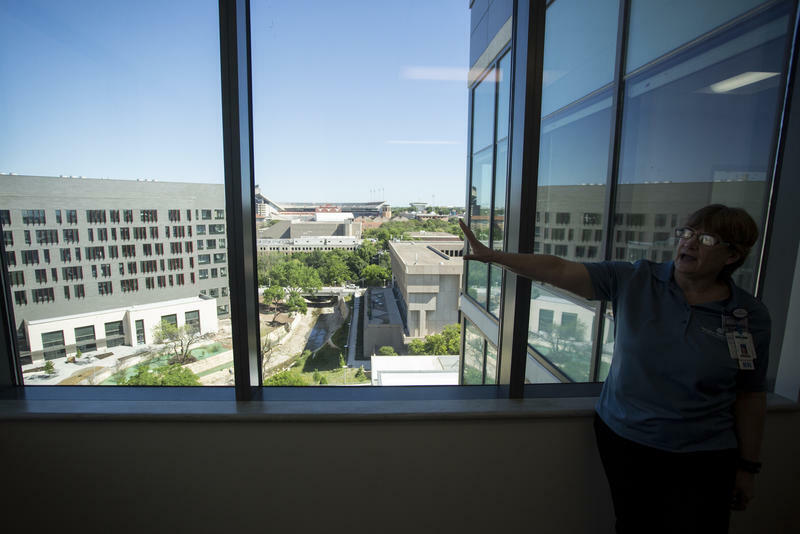 Maria Tappan, staff educator at Dell Seton Medical Center, points to the Dell Medical School campus during a tour of the new Dell Seton Medical Center. It used to take more than a year for low-income people in Travis County to get in to see an orthopedic, or skeletal, specialist. However, thanks to a new approach and a clinic run by Dell Medical School at UT Austin, that wait time is now about three weeks. The reason for this is a team of half a dozen doctors, nurse practitioners and research assistants. 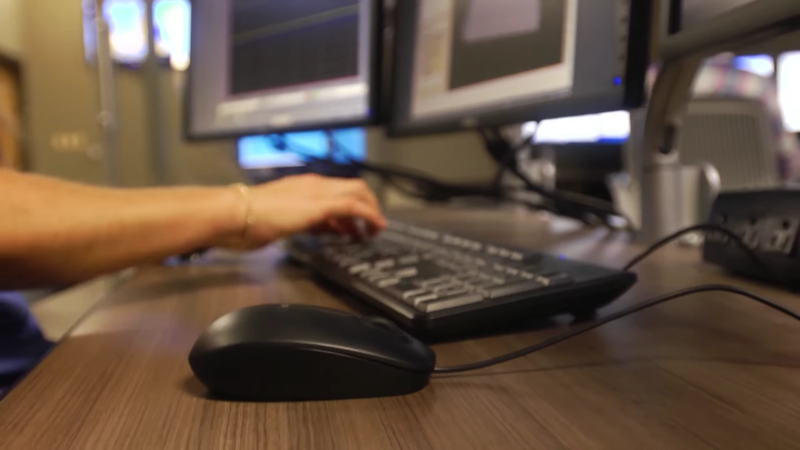 Every Monday and Thursday morning they meet in the basement level of the Clinical Education Center at Brackenridge and huddle around a computer. In about half an hour, patients will start trickling in, but first the team takes time to talk about each one. 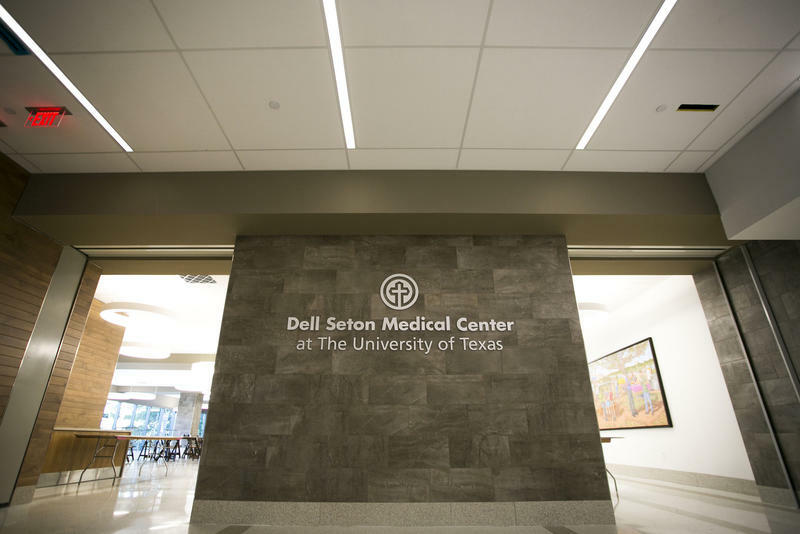 This is called an “integrated practice unit.” It’s part of Dell Medical School’s mission to innovate the way health care is delivered. This orthopedic team works together closely to provide care. They don’t just tackle orthopedic problems, either. As they discuss one patient facing knee issues, Dr. Karl Koenig, the team’s leader, brings up mental health. The team sees roughly 20 to 25 patients during each clinic. And Koenig says each of those visits takes longer than most orthopedic consultations because it’s more comprehensive. It may seem counterintuitive, but these longer visits actually kept wait times down. Koenig says this approach leads to fewer follow-up appointments because patients are getting all the care they need. The clinic also keeps a lot of data to make sure the treatments it is using have consistently good outcomes, which also keeps follow-up numbers low. And then there’s communication. When the team started this project, Koenig says it sifted through a really long waiting list kept by the county’s health care district, which serves the area’s indigent population. He says that system wasn’t working. And even though there’s still room for improvement, he says, this new system has made getting orthopedic care in Travis County a whole lot easier.